Not August as previously suspected. Who'd have thought, huh? Apple fanboys get saving, because it looks like the company will be taking your hard-earned cash again later this year - same time, same place. Based on a new leak, it appears that the iPhone 6s will be released on September 25, so you may want to book the day off work. Apple shook the tech industry last year with the release of the iPhone 6 and iPhone 6 Plus, and based on a new leak, will be hoping to do the same this September too. Mobile News has reportedly got hold of an internal memo sent to network provider Vodafone, which reveals that a “new iPhone” – presumably the iPhone 6s – will be released on September 25. The leak also claims that pre-orders will kick off a week earlier on September 18. While it's hardly the most surprising news, considering that last three iPhone flagships also launched in Apple's regular September slot, the leak quashes previous rumours that the iPhone 6s would launch a month before. Although don't take the news as gospel just yet. Apple's production line has encountered all types of problems in the past, so the release date may well change. The leak notably didn't mention the arrival of the iPhone 6s Plus or plastic-clad iPhone 6c, which have both been tipped to launch with the 6s. We'll have to wait and see how that pans out. According to recent leaks, the iPhone 6s will flaunt the same uber-svelte design as the iPhone 6, but new components are expected to be added. 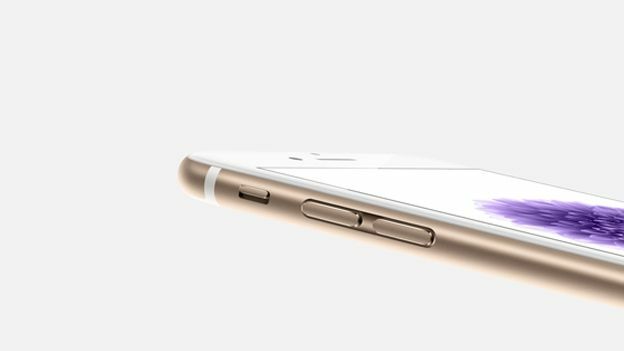 For starters, we're expecting the 6s to sport a sapphire glass display - a scratch resistant material that was slated to appear on the iPhone 6 but manufacturing problems reportedly got in the way. The Taptic Engine and Force Touch from the new MacBook and Apple Watch are also rumoured as well as a significant camera boost.